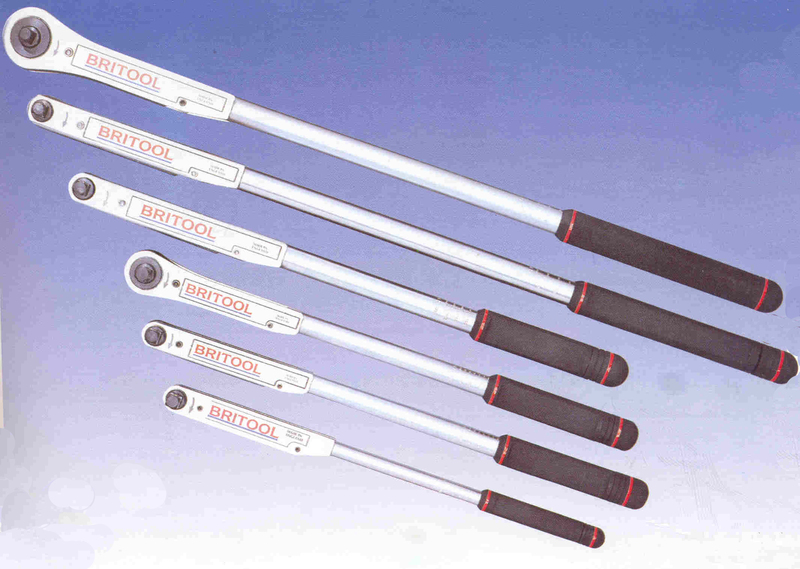 The range of Britool torque wrenches has been increased extensively to include a number of electronic, dial and enclosed mechanism models. The increase in the range has been made to meet the specific needs and expectation of the torque tightening market. Consistent, reliable accuracy. The mechanism pivots on the square drive, this means accuracy is maintained wherever the handle is grasped. Durable. Hardwearing, heavy duty mechanism retains ±3% accuracy for up to 10,000 operations before recalibration. The robust construction resist accidental damage even in heavy use. Comfortable. Handle is designed for controlled pulling effort at all settings. Compact design. Ideal where access is restricted. Convenient. Push-through, user replaceable square drive - just turn the wrench over to use for left hand threads. Manoeuvrable. For minimal handle movement, smaller ratcheting models feature the unique Britool clutch roller bearing mechanism. Later models utilise a 24-tooth double-pawl ratchet action. Easy to Read, Permanent scale. Large clear markings are branded into the handle - N.m, Kg.m, lbf.in and lbf.ft Secure and rapid adjuster cannot be altered by accident. This ensures consistently accurate settings. Clutch Ratcheting Head. DVTR100 and AVTR600 incorporate the unique feature of a roller clutch mechanism. This gives a fine ratcheting movement of less than 1°. Fully Serviceable. All service parts are available - see page 90 - and there is a complete repair and calibration service. Ref. Ratchet ? Torque Range Square Drive Length Wt. All images, log and specifications belongs to Britool. They appear here for demonstration only. We are authorized distributors in India for PIT brand torque wrenches available with calibration certificate; standards traceable to NPL, Delhi. We are looking for dealers in Chennai, Bangalore, Delhi, Faridabad, Pune, Nasik, Ahemdabad, Indore, Cochin, Noida, Kolkatta for bulk orders. We also import dial type torque wrenches from CDI, Japan / USA, Tohnichi dial type torque wrenches and push pull meters.